In the recent few years, OEM’s have made drastic improvements to their mid-range smartphones. 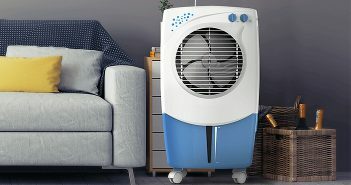 As a matter of fact, these mid-rangers have improved to offer flagship-like features with price tags that won’t break your bank balance. If you are currently looking for a smartphone and have a budget constraint, then there is no need to panic. Buying a smartphone with amazing features and specs is not as expensive as it was before. 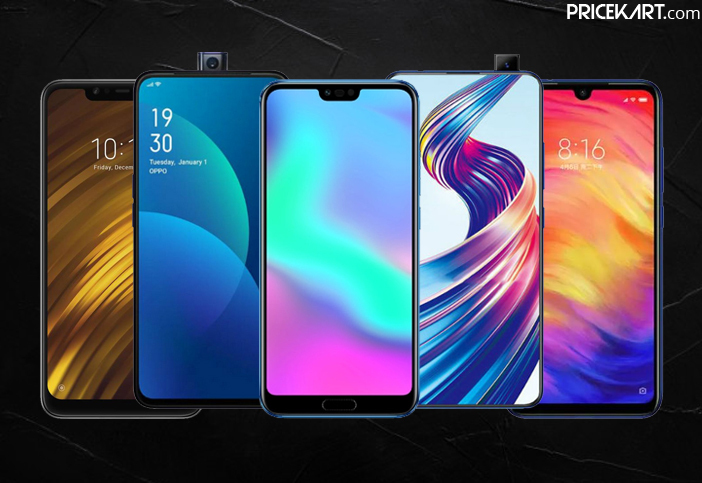 With some of the best mid-range smartphones giving a tough competition to premium flagship models, buying a smartphone based on your budget has become an easy task. With mid-range smartphones you can expect attractive designs, trending features and high-end hardware. In our list below, we will mainly focus on mobile phones below 30000. These smartphones are picked keeping in mind flagship-like features and great value for money. Here are some of the best mid-range smartphones you can buy right now. Take a look! Smartphone company Huawei is popularly known for launching amazing mid-range smartphones under the Honor branding. When it comes to design, camera, build quality and display – Honor smartphones do not disappoint. The smartphone runs on a Kirin 970 processor, offers AI-enhanced cameras and fast charging support. Additionally, the smartphone is backed with 6GB of RAM which is coupled with 128GB of internal storage. On the performance end, the smartphone is smooth and fast. It is one of the best mid-range smartphones currently in the market. 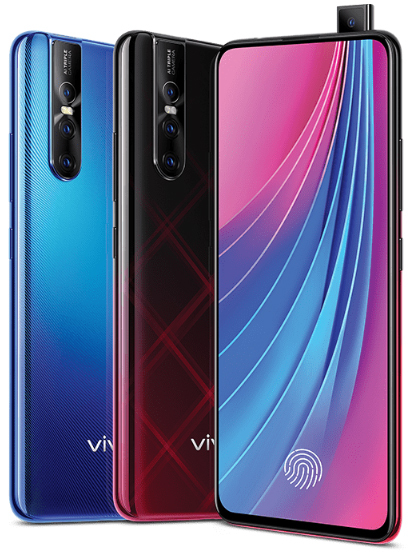 Vivo has designed a truly innovative smartphone called the Vivo V15 Pro. The smartphone has everything that you might be looking for in a smartphone. 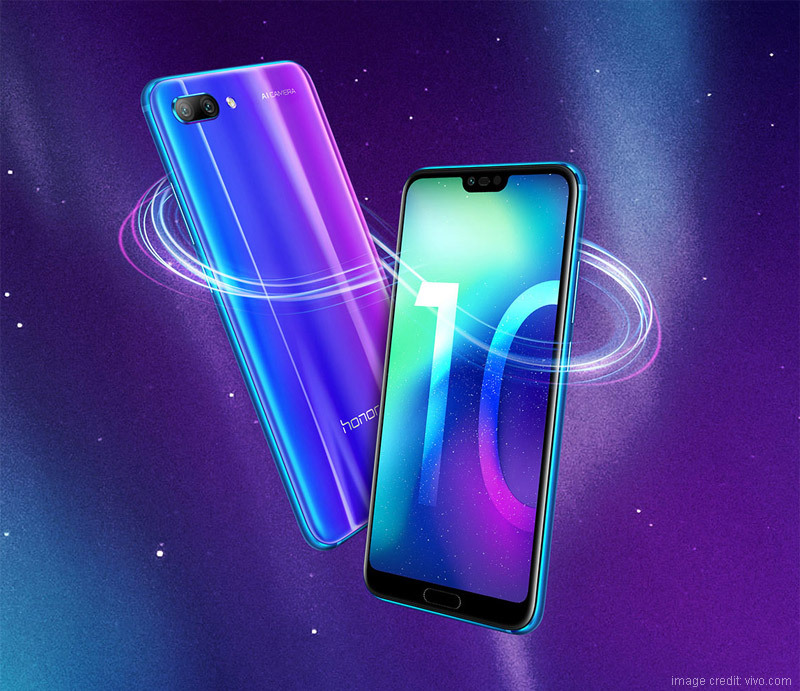 This smartphone supports flagship-like features such – bezel-less display, pop-up selfie camera, in-display fingerprint sensor, quick charge support, triple rear camera, and much more. Triple camera mobile phones are not easy to find in a mid-range. However, Vivo has managed to deliver on that end. 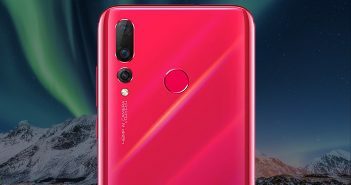 Moreover, the company has also added a whopping 48MP sensor on its rear camera setup. Interestingly, V15 Pro is the world’s first smartphone to support a 32MP front camera. It is an absolutely gorgeous smartphone that offers a super smooth performance. It is fuelled by Snapdragon 675 SoC along with 6GB RAM and 128GB internal storage. 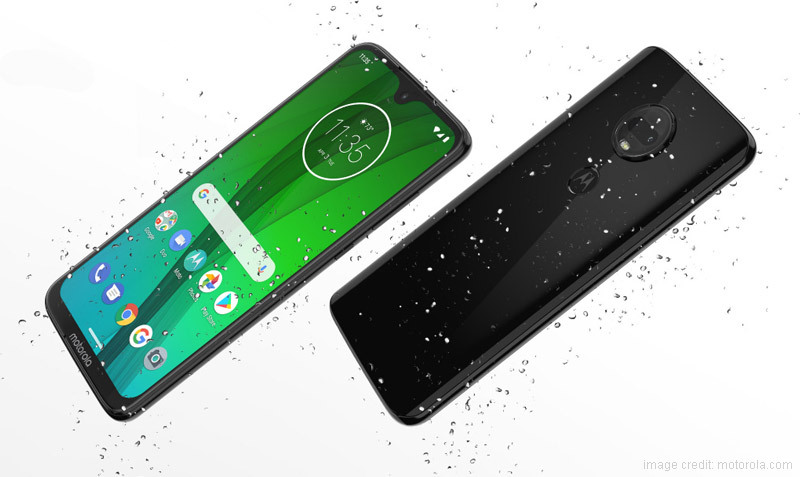 Not just the best smartphone from the Moto G series, but the Moto G7 is one of the best mid-range smartphones you can currently buy. As far as mid-rangers go, the Moto G7 does not offer features that particularly stand out. However, if you are looking for a smartphone that is great on the performance end and is reliable, then Moto G7 will not disappoint. The smartphone runs on the latest Android 9 Pie OS and offers a great performance and a good battery life. 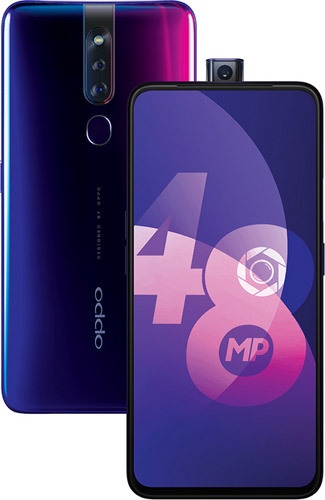 Oppo F11 Pro is another pop-up selfie camera and bezel less display mobile phones on our list. Just like Vivo V15 Pro, even this smartphone features an aesthetic design and is an eye-catcher. Moreover, even this smartphone features the fast charging feature. For photography, the dual rear camera comes with a 48MP sensor which can capture amazing shots even in areas with low light. The smartphone runs on the Helio P70 SoC and offers 6GB RAM. For its power, the smartphone is backed by a 4000mAh battery which supports VOOC Flash Charge 3.0. Without a doubt, Poco F1 is one of the best mid-range smartphones that money can buy. 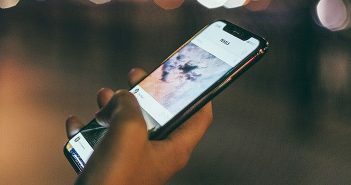 The smartphone launched in 2018 and is the only affordable smartphone to run on the flagship processor. The smartphone runs on the powerful Snapdragon 845 processor with a powerful 4000mAh battery. It is one of the 8GB RAM mobile phones which is coupled with 256GB of internal storage. When it comes to performance, Poco F1 beats all the other smartphones on the list. 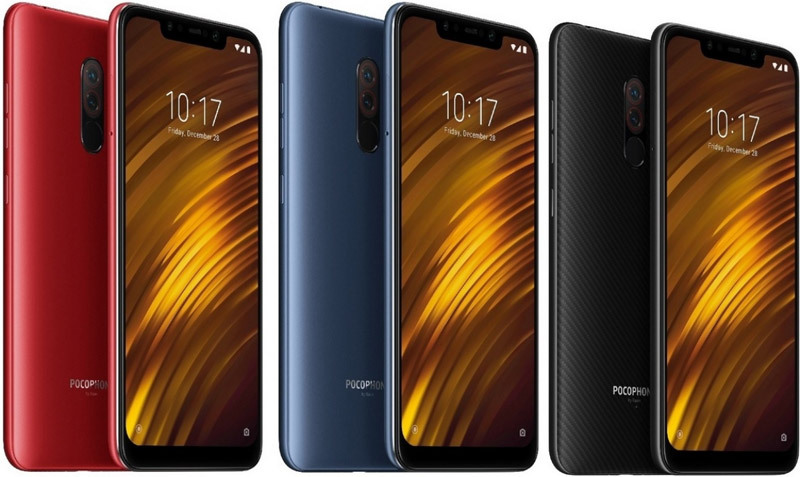 So, if performance is your requirement, then Poco F1 should be your pick!